Lifelong Health and Happiness is dedicated to your happier, healthier and longer life. Our goal is to help you discover and do the things that will substantially (and possibly dramatically) improve your quality of life. Happiness, health, longevity and giving create a continuously improving upward spiral for a more abundant life. We have a very concise approach to the information we provide you. Only the best: Like collecting nuggets of gold, our information and research condenses the best scientifically proven approaches to improving your life from the leading authorities. 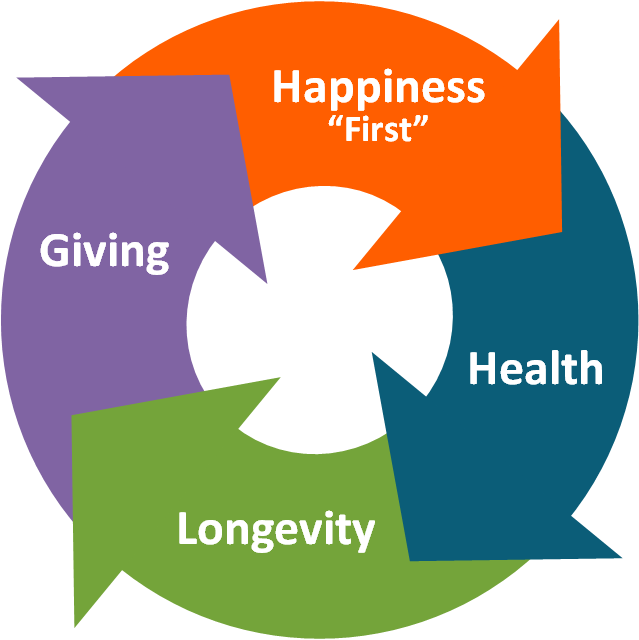 Action: Happiness, Health and Longevity are highly inter-related. Everything we share includes something that you can DO, that is proven to achieve results. Results: Each of us are truly unique. There is no “one size fits all” in life. We help you learn and explore what works for you. Now, let’s get started with your happier, healthier and longer life!